Candidates will be awarded up to £100,000 for each idea that address risks to infrastructure identified in Defra's Climate Change Risk Assessment. Britain’s world class engineers, scientists and designers are being challenged to come up with innovative ways to help protect UK infrastructure from the effects of climate change in a new competition launched by Environment Minister Lord Taylor of Holbeach today. The competition, with a total prize fund of £400,000, will provide successful candidates with funding to develop their pioneering solutions to protect infrastructure such as roads, airports, power stations, water treatment plants and Wi-Fi networks against the threats of climate change. “Roads, railways and our wi-fi networks are the building blocks of our economy and we need them to stand up to what climate change can throw at it. We have seen weeks of heavy rain and flooding across the country which we know is the sort of extreme weather we have to expect in future due to climate change. energy demands for cooling buildings and Information Communications Technology will increase as temperatures are projected to rise. The competition also aims to highlight the significant market opportunities for growth by developing new materials, products and techniques to protect infrastructure. Latest figures show that the adaptation and resilience to climate change sector of the UK economy is worth £2.1billion and is expected to grow by 7% by 2017/18. Applicants must be in a position to start their design work by October 2012. 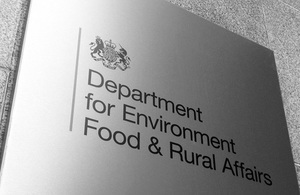 This competition will be run by the Technology Strategy Board with funding from Defra. It opens on 27 July 2012 and closes on 7 September 2012.